When my daughter was three years old, I taught her the word "stereotype." She was just beginning to string words together into sentences, had determined that pink was definitely not her favorite color, and asked (demanded, actually) why all the "girl stuff" was pink and the "boy stuff" was blue. Because there's no three-year-old version for a word describing why colors are gendered in our society, I figured that planting the seed might yield fruit soon enough. And somewhat surprisingly, I was correct. As a society and within our educational institutions, discussions about bias, diversity, discrimination, and social justice tend to happen in middle and high schools. We've somehow decided that little kids can't understand these complex topics, or we want to delay exposing them to injustices as long as possible (even though not all children have the luxury of being shielded from injustice). Racial identity and attitudes begin to develop in children at a young age. Two- and three-year-olds become aware of the differences between boys and girls, may begin noticing obvious physical disabilities, become curious about skin color and hair color/texture, and may also be aware of ethnic identity. By the time they're five and entering kindergarten, children begin to identify with an ethnic group to which they belong and are able to explore the range of differences within and between racial/ethnic groups. In terms of bias, by age three or four, white children in the U.S., Canada, Australia, and Europe show preferences for other white children. Further, current research suggests that children as young as three years old, when exposed to prejudice and racism, tend to embrace and accept it even though they might not understand the feelings. The good news is that bias can be unlearned or reversed if we're exposed to diversity in a positive way. Harnessing young children's desire for fairness and using it as opening to discuss bias and discrimination is not a hard leap, but one that needs to be made explicitly and with instruction. They are also not afraid to comment on observed differences. Decades of research indicate that even if parents and adults are not talking about race or other differences, children still notice differences and prejudice. If we choose not to teach or talk about it, children's notions about race and differences will go unchecked and likely become further entrenched in their minds. It's also important that adults in children's lives do not perpetuate the idea that we should be "colorblind" to racial differences or shush them when they notice someone with a disability. Sometimes adults do this out of their own discomfort with talking about differences, or because they think noticing differences somehow makes you biased. We want to encourage children to notice differences because they do so naturally, yet at the same time, honor people's identities without judging or discriminating based on differences. In other words, noticing people's differences is natural, but when adults assign judgments or value to these differences, bias can develop in young children. Elementary school is a time ripe for these discussions. Provided that teachers have the right tools and resources and use developmentally appropriate language and activities, teaching about these concepts can be rich and engaging for children, laying the groundwork for more sophisticated understanding when they move into the tween and teen years. 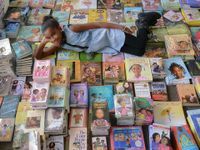 There's a wealth of children's books that can be read aloud and independently to approach the topic of bias, diversity, and social justice. Whether it's about people who are different than your students (window books), an affirmation of their identity (mirror books), or one that exposes bias or shares stories of people who stood up to injustice, reading books is a core part of the elementary classroom curriculum and therefore a seamless way to address the topic. 2. Use the news media. Find topics and news stories that bring forth these themes, discuss them in the classroom, and build other reading, writing, social studies, and math lessons around them. Relevant news stories that highlight bias and especially those where someone stood up to it and justice prevailed -- like the nine-year-old boy who was banned from bringing his My Little Pony backpack to school because it was the source of bullying, or the story of Misty Copeland becoming the first African American appointed as a principal dancer for the American Ballet Theater in its 75-year history -- are terrific teachable moments. We know that all educators face a plethora of daily demands. But because children's social and emotional development is a key part of the elementary curriculum and because much of the teasing, name-calling, and bullying is identity-based, it's helpful for the classroom climate to set aside a time every week for an explicit lesson on this topic. Social and emotional skill development lessons are the foundation, and then teachers can move to lessons on identity, differences, bias, and how bias and bullying can be addressed individually and institutionally. 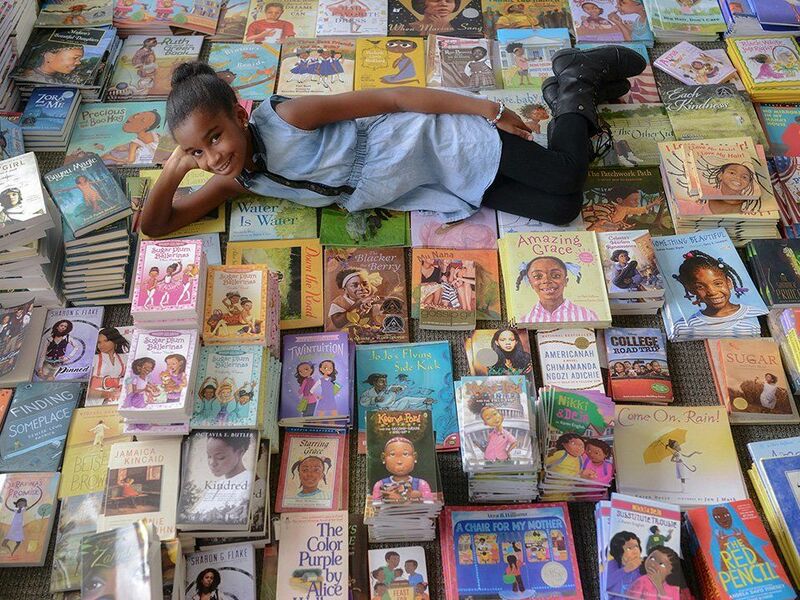 Take advantage of children's interest in books, TV shows, toys, and video games, and use them as opportunities to explore diversity, bias, and social justice. Whether it's about toys and gender stereotypes, a New Jersey girl who was tired of seeing books only about white boys and dogs, or discussing a new line of dolls with disabilities, you can provide openings for children to see how bias takes place in media and the everyday objects that they use. Re-think the concept of "helping others" (through service learning projects or other volunteer opportunities) to include discussions with children about the inequities that contribute to the problem and consider actions that can address it. For example, while it's useful to provide food to homeless people, we want to deepen the conversation to convey a social justice perspective and a wider lens with children. Therefore, discuss the stigma and stereotypes of homeless people, learn about unfair housing policies, and reflect on solutions that will reverse the problem in a lasting way and encourage students to take action. Recently, several prominent national education organizations (including the NEA, AERA, AFT, and NCTE) have called for addressing equity in schools and society, specifically recommending that we need to highlight the "systemic patterns of inequity -- racism and educational injustice -- that impacts our students," and that educators and school leaders "receive the tools, training, and support they need to build curricula with substantive exploration of prejudice, stereotyping, and discrimination." We need to begin this process with our youngest hearts and minds in order to have a lasting impact. What are your thoughts? How do you approach social justice issues with elementary students? Please share in the comments section below.